SunClan was formed at around the same time as StormClan. Wolves from each of the four Clans- Direblood, Moonwhisper, Snakepaw and Ebonyfur of WindClan, Stoatpaw and Ripplepaw of RiverClan, Shadowpaw and Oakpaw of ShadowClan, and Isenpaw and Nightfrost of ThunderClan- founded the Clan, settling in the mountains near Highstones. Direstar became their first leader. The Clan has since set up camp in the slightly mountainous territory of the new forest. 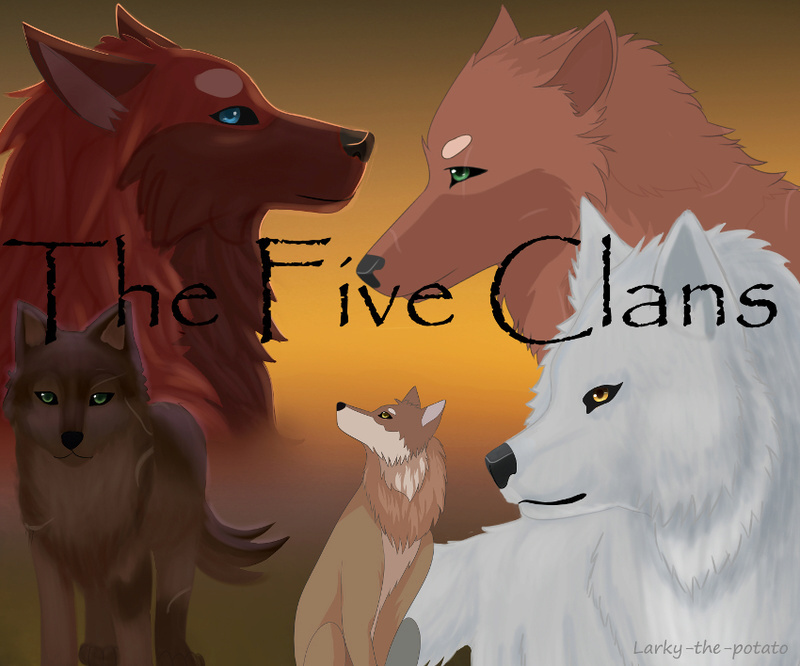 Their personalities are more varying than the other clan's, due to being made up of wolves from all Clans. They eat what prey they can catch, such as deer, squirrels, and birds. Recent Events; 22nd Nov: Specklefrost and her pup Darkpup were found in the snow and brought back to camp to recover. The deputy Heavycloud has vanished, leaving just Riverstar in charge of the clan. With early snowfall and a lowstocked fresh kill pile, it's uncertain how many wolves will survive the winter this year.